Drought conditions continued to evolve in Colorado this week, with improvements for north central counties, and extreme drought continuing to encroach on areas in the south. Extreme drought increased slightly in northeast Prowers county. Extreme conditions also spread to cover most of Archuleta county, and much of the southern half of Mineral county in southwest Colorado. Severe conditions continued to advance northward in eastern Colorado, encompassing the eastern third of El Paso county, most of Lincoln county, and southeast Elbert county. The north central and northwest parts of the state continued to show improvement. 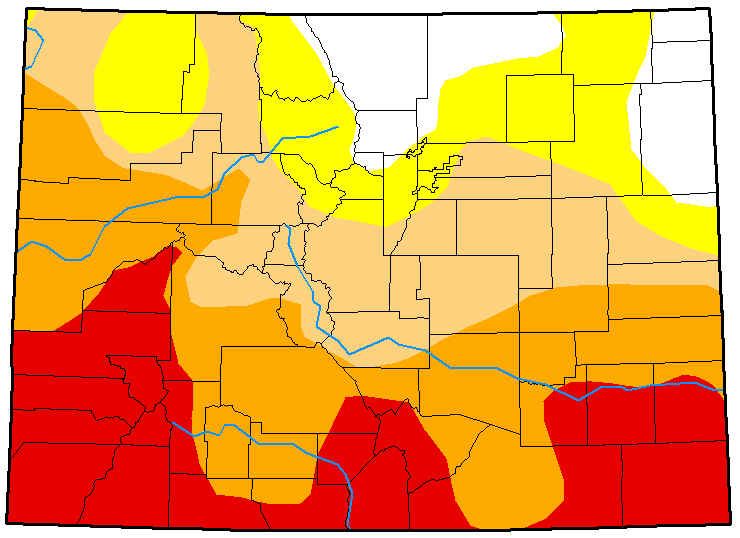 Jackson and Summit counties are largely drought-free for the first time since December. Moderate drought conditions across the area improved to abnormally dry for Routt county and the northern half of Park county. 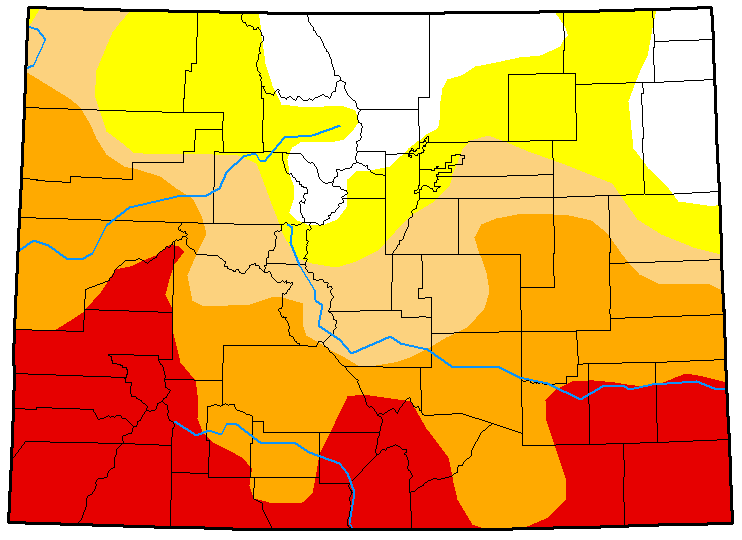 Severe drought also gave way to moderate conditions in Eagle county. The area is under a winter weather advisory going into the weekend, with some potential for further improvement with the next update. Overall, more than 12 percent of the state is drought-free, up slightly from last week. Abnormally dry conditions increased by about two percent as areas shifted out of higher drought categories. Moderate drought also improved from about 22 percent of the state to just under 16 percent. 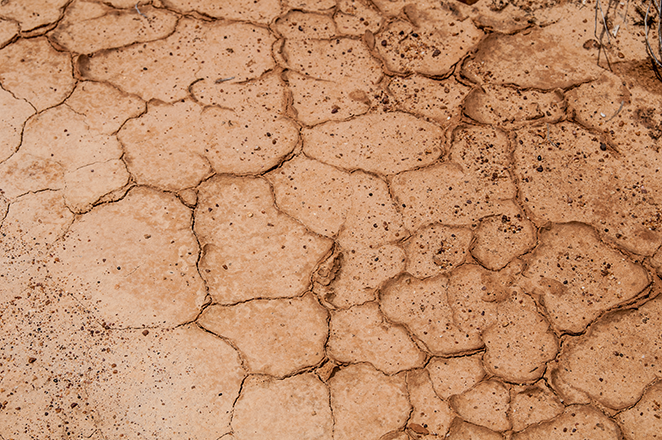 Severe drought increased to a bit more than 29 percent from just under 28 percent. Extreme drought increased to nearly one quarter of the state's area. A blizzard warning is in place throughout Friday for Cheyenne, Kit Carson, Yuma, Phillips, Sedgwick, Logan and Washington counties due to wind gusting to 65 miles per hour and the potential for visibility to be reduced to less than one-quarter mile. Snow accumulation will be minimal across most of the area, though the northeast counties could see as much as 5 - 10 inches of snow. Drought categories include (ranked from least to most severe) abnormally dry, moderate, severe, extreme, and exceptional drought. Maps courtesy National Drought Mitigation Center. Top: April 10, 2018. Bottom: April 3, 2018.